Available May 11-18. Free Par 3 Golf 5 Pools 3 Hot Tubs! Sandpiper Cove has THE most to offer of any complex in Destin... We have five pools, three hot tubs, six tennis courts, shuffleboard, and a FREE nine hole, par three golf course. Stretch out on our 1,100 foot beach... Relax on the beach pavilion where there's a snack bar, restrooms, and a full beach rental service. 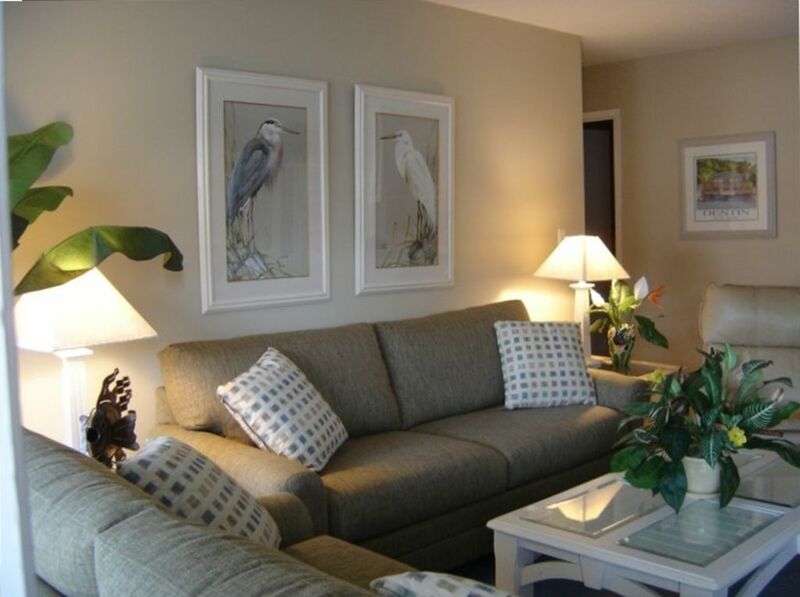 Sandpiper offers a family setting with no high rise elevators. Enjoy fishing, feeding the ducks from our balcony, overlooking the canal that runs through the property. We just got home from our beautiful trip to Destin and we had an amazing time! We loved staying in this beautiful condo! It had everything we needed and was conveniently located to shopping, food and the beach. My family was completely comfortable here and is looking forward to going back in the future. Check in was extremely easy and Sharon was fantastic to work with! My family can't stop talking about going back to this condo very soon! The unit is as advertised - clean and comfortable. We were happy with the accommodations. The kitchen was well-equipped and the furniture was in good condition. Stores and restaurants are a short walk away. I wish I could give this 10 stars ! It was wonderful - much better than expected ! We knew it would be nice - but it was super! We had everything we needed, great location on the canal and the moon rising at night was breathtaking. We loved walking out onto the balcony watching the ducks, pelicans and others. Peaceful, safe, so many things to do and the neighbors are so friendly. Sharon is awesome at keeping in touch and we will definitely return. Thank you Christine. You were an awesome guest also. So glad that you enjoyed yourself. Our goal is to make you feel this is your home away from home. The place is perfect! Clean, organized, cute decor and everything in the kitchen you need to cook. Loved having a washer and dryer to clean clothing. Going home without dirty clothes is a great feeling! Multiple pool options was great as was the easy walk to the the private beach! Will definitely be going back, owners were the easiest I have ever worked with! So glad to hear that you had a great vacation! Sandpiper Cove has always been a fun place for our family and we love that other families can make memories there too! This unit was very nice and everything needed for a wonderful week at the beach. I like the second bedroom having a full bed and twin bed. Thank you so much and we are very happy that you and your family enjoyed your stay. It was very comfortable, clean, and relaxing. I had zero complaints for this stay. The owner is very prompt on any response or questions. Everything needed to cook with in the kitchen. On the picture, it looks like two twin beds, which wasn't a problem, but it came out even better it was a twin and a full size bed in the second room. There deck was nice watching the ducks. Weather was wonderful. Quick walk to the beach. It has a restaurant located on the property. My family and I went for a nice walk at night around the property. We loved our stay here. Thank you Maria. Our goal is to have our place be your home away from home. So happy to be a part of you making memories with your family. Come back anytime!